Out of gift ideas? 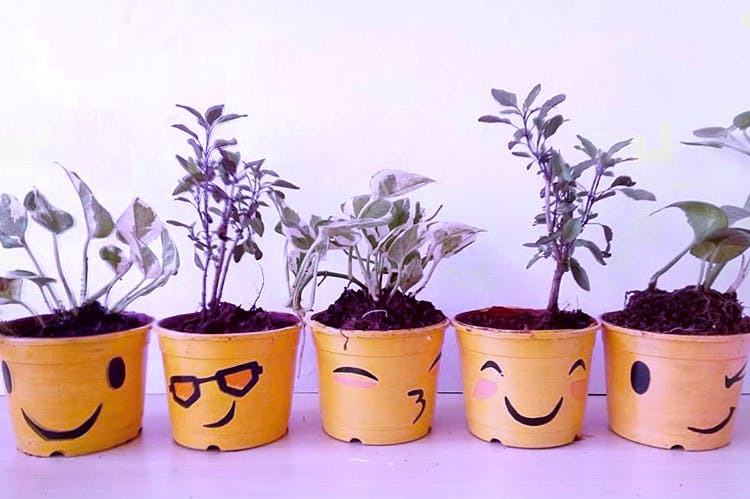 We’re bookmarking Patpai – an organisation which sells different types of plants in painted pots that deserve some loving. Patpai is an initiative to promote the taking it forward concept when it comes to plants. They make the process of gifting plants easier by ordering them online, and more fun because of the pots they place them in. You can from many plants and herbs from bougeanvilla, lemongrass, mini begonia, and other easy-to-maintain plants. You can even choose herbs from American basil, oregano, rosemary, and sage to add to your kitchen garden. The cutest bit however is the packaging it comes in, pots painted to resemble tuxedos and bowties, a world map, or just happy emoticons. You can also request them to make a design on your choice. Each plant costs somewhere around INR 350, and you can check their website here or contact them by emailing at adopt@patpai.com. Just saying – there’s a minion pot too that you can buy. Go bananas!